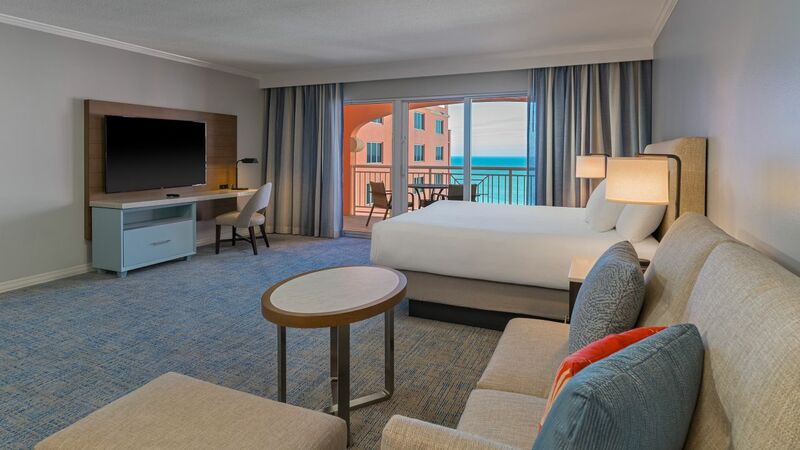 Hyatt Regency Clearwater Beach features 287 rooms, including our 256 suites, with a variety of Gulf views and sizes to fit your needs. 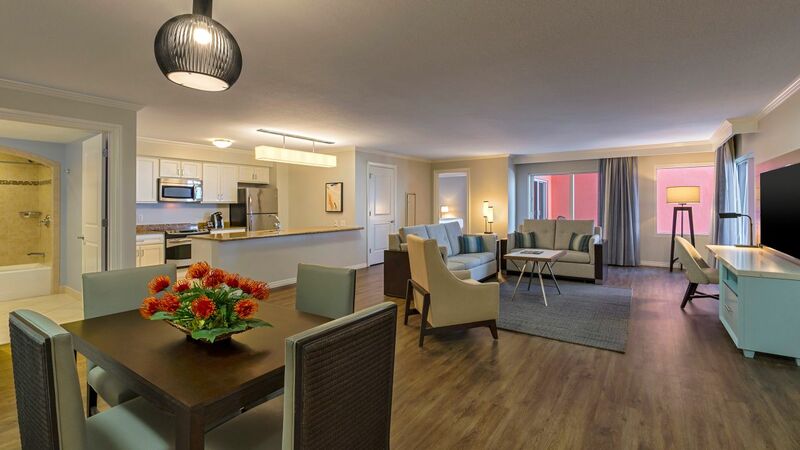 Our rooms feature countless amenities, from 31 kitchenettes to 256 full kitchens to laundry access on each floor. This 1,600 sq ft suite offers one king, two queens, two bathrooms, two separate bedrooms, sleeper sofa, full kitchen, and a walk out balcony. See World of Hyatt program terms for upgrade eligibility. This 1,200 sq ft offers one king, one queen, two bathrooms, living area, full kitchen, dining table, and a walk-out balcony with panoramic views of the Gulf. This is a premium suite. See World of Hyatt program terms for upgrade eligibility. 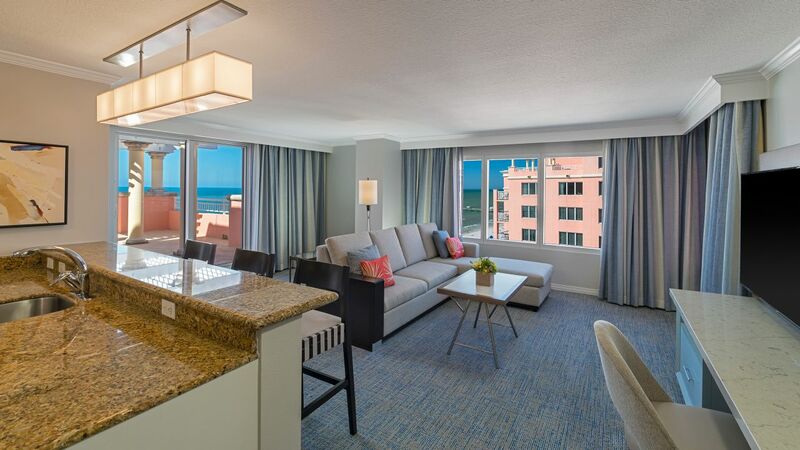 This 1,500 sq ft suite offers 1 King, 2 Queens, 2 bathrooms, living area, full kitchen, dining table, and a walk-out balcony with partial views of the Gulf. 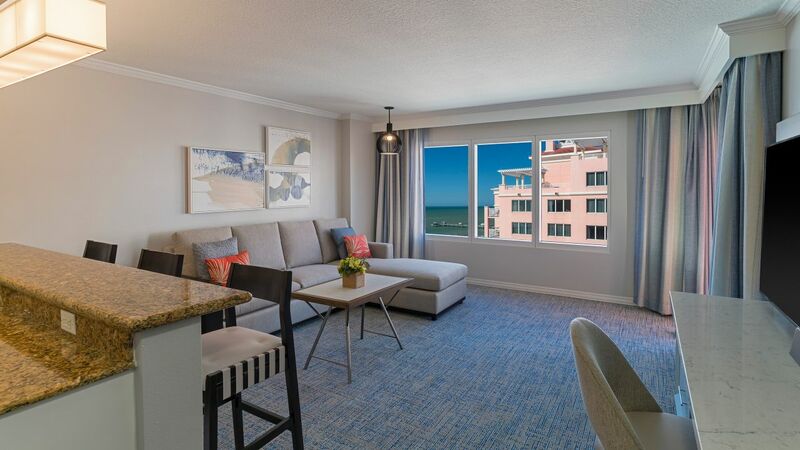 This 900 sq ft suite offers a bedroom, bathroom, living area, sleeper sofa, kitchen, and a 600 sq ft walk-out balcony with views of the Gulf. This is a premium suite. See World of Hyatt program terms for upgrade eligibility. 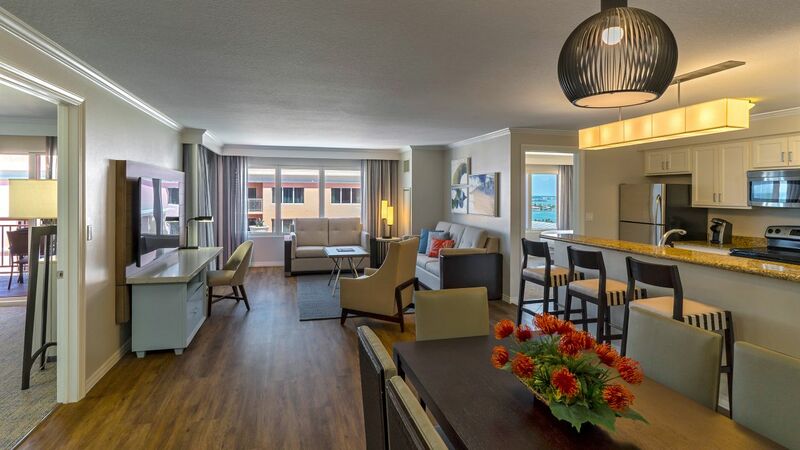 This 900 sq ft suite offers a two queen beds, two bathrooms, living area, sleeper sofa, kitchen, and a 600 sq ft walk-out balcony with views of the Gulf. This is a premium suite. See World of Hyatt program terms for upgrade eligibility. 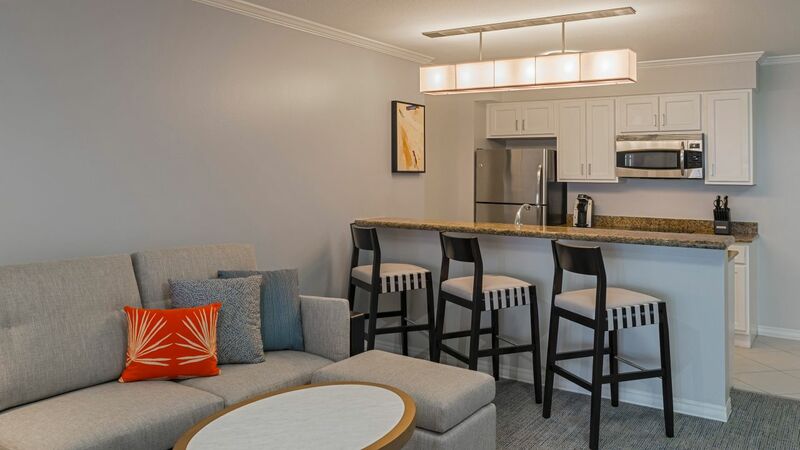 This 900 sq ft suite has a secluded bedroom/bathroom and second bathroom, walk-out balcony with partial views of the Gulf, living room, sleeper sofa, and kitchen. This is a standard suite. See World of Hyatt program terms for upgrade eligibility. 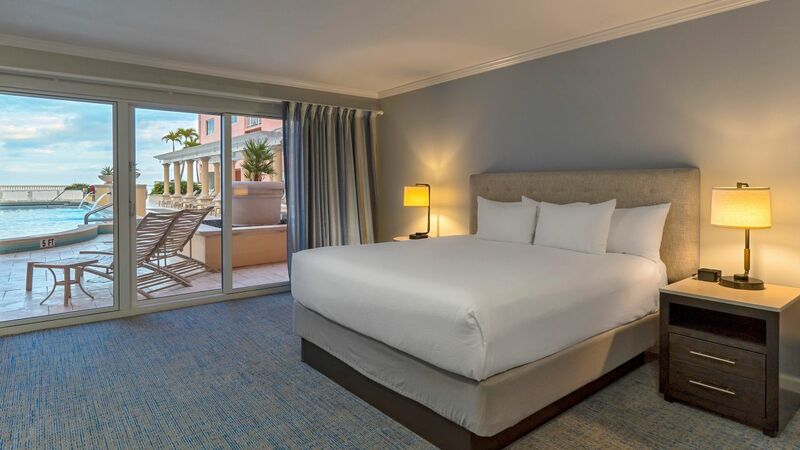 This 450 sq ft suite features one king bed, sleeper sofa, kitchen and poolside patio with privacy curtains. 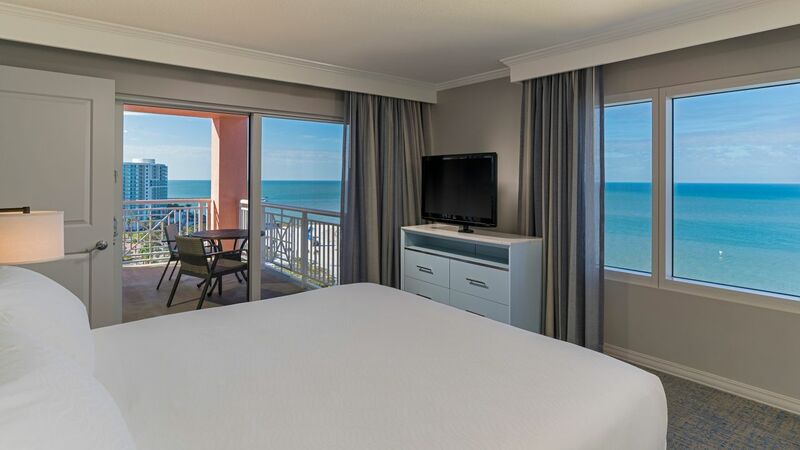 This 1,600 sq ft suite offers 1 King bed, 1 King bed, 3 bathrooms, sleeper sofa, full kitchen, walk-out balcony with partial views of the Gulf. This is a premium suite. See World of Hyatt program terms for upgrade eligibility. This 800 sq ft room features a kitchen, sleeper sofa, work area, bath and double vanity, and a walk-out balcony with partial views of the Gulf. This 800 sq ft room features a kitchen, sleeper sofa, work area, bath with double vanity, and a walk-out balcony with partial views of the Gulf. 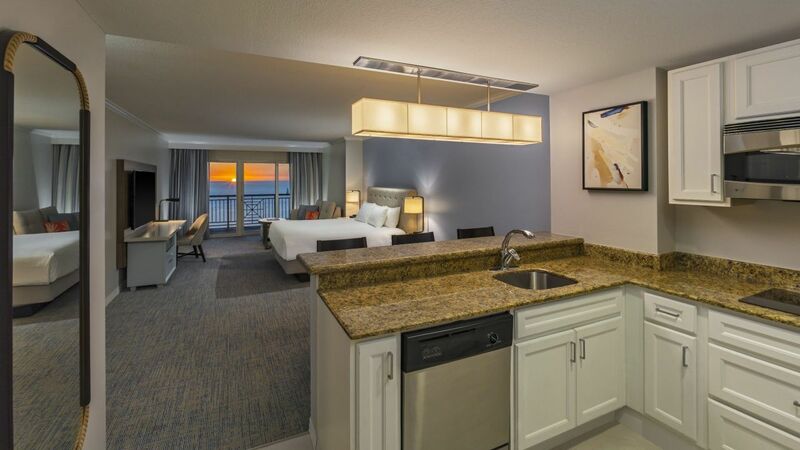 This 600 sq ft room features one king bed, kitchen with counter cooktop, and a walk out balcony with partial water views. 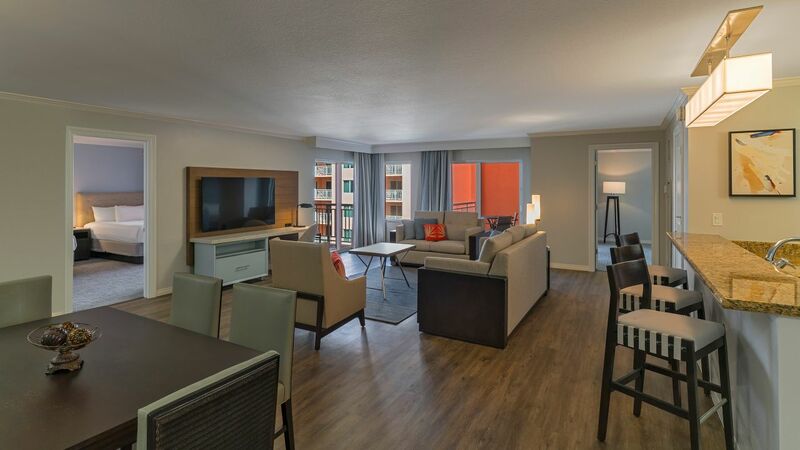 This 600 sq ft room features two queen beds, kitchen with counter cooktop, and a walk out balcony with partial water views. This 400 sq ft room features one king bed, mini-fridge, microwave, and walk-out balcony with partial water views. 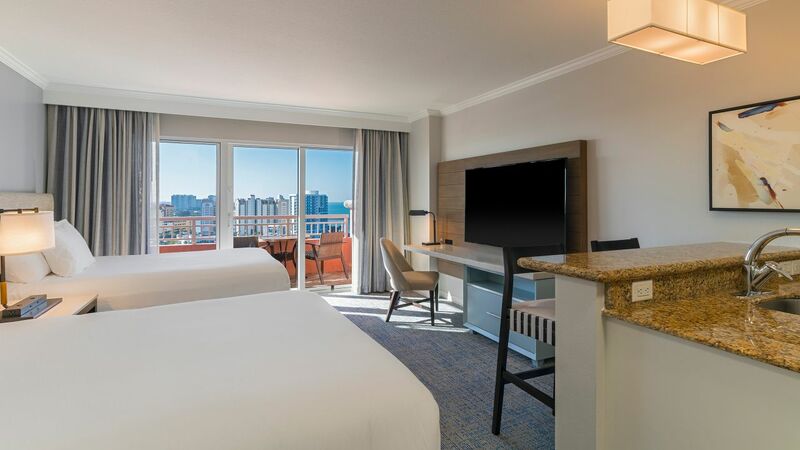 This 600 sq ft ADA room features one king bed, kitchen with counter cooktop, and a walk out balcony with partial water views. 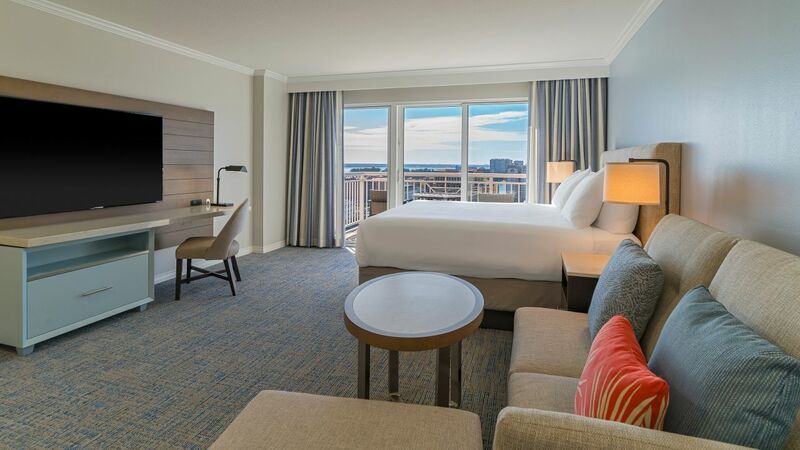 This 600 sq ft ADA room features two queen beds, kitchen with counter cooktop, and a walk out balcony with partial water views. 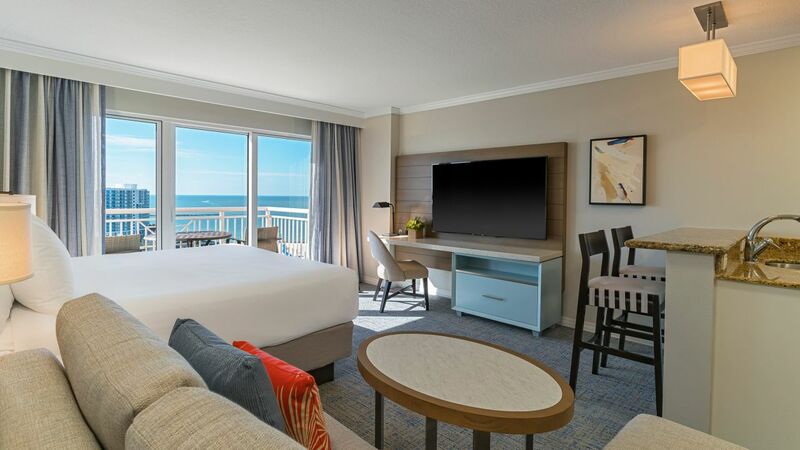 This 900 sq ft room features full sunset views of the Gulf of Mexico, a kitchen, sleeper sofa, work area, bath with double vanity, and a walk-out balcony.